AURIN, in conjunction with SSSI, has almost completed a circuit of all the Australian major cities, having run our Masterclasses in Canberra, Sydney, Adelaide, Brisbane, Hobart and Perth. Our next Masterclass is in Melbourne on the 19th November. These day-long sessions give participants the skills needed to access information in the AURIN portal, in a series of interactive and guided exercises using their own laptop. Dr Jack Barton and Xavier goldie guide you through the urban information landscape with the help of advanced spatial statistical and visual analysis routines. Those present also workshop their own urban methods and projects, with guidance on how AURIN can assist through the provision of data, analytical and visualisation capability. See our Events page for a list of Masterclasses and other upcoming events. 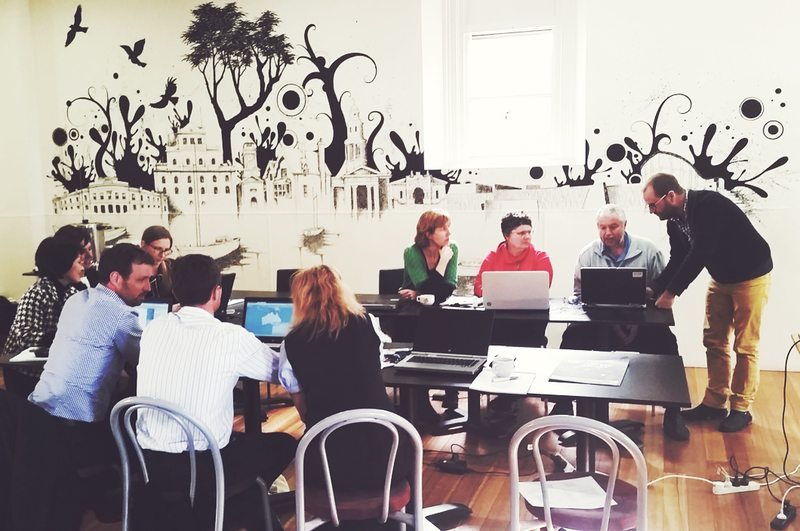 The Hobart masterclass held on 11 September 2014.